Students’ declining performance in science and mathematics is an issue of great international concern. Recently, educators and researchers have begun to focus on affective factors such as interest to better understand STEM learning and persistence. Therefore, there is a need for effective measures of STEM interest that allow it to be tracked over time and to provide opportunities for early interventions by educators. One such instrument was recently developed to measure youth interest in STEM as a general construct and in four domains associated with STEM: earth and space science, life science, technology and engineering, and mathematics. 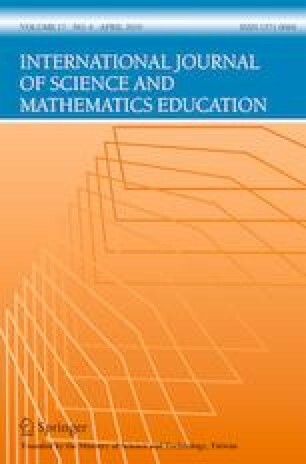 In this paper, we explore the psychometric properties of the measure scales by administering the instrument to a large sample of youth from both a traditional and STEM-focused school and examining theorized relationships using confirmatory factor analysis as part of a larger structural equation model. Results provided support for a single latent dimension of STEM interest, confirmed the existence of the four individual STEM interest dimensions, and provided evidence of structural and generalizability validity. We conclude that the instrument provides a sufficient means to measure STEM interest for adolescent youth within a variety of populations and educational contexts. Buck Institute. (n.d.). What is project-based learning (PBL)? Retrieved 24 October 2018, from http://www.bie.org/about/what_pbl. English, L. D. (2016). STEM education K-12: Perspectives on integration. International Journal of STEM Education, 3(1). https://doi.org/10.1186/s40594-016-0036-1. Minner, D., Erickson, E., Wu, S., & Martinez, A. (2012). Compendium of research instruments for STEM education. Part 2: Measuring students’ content knowledge, reasoning skills, and psychological attributes. Cambridge, MA: ABT Associates. Retrieved on July 27, 2014 from http://cadrek12.org/announcements/findingsdr-k-12-stem-school-study-s3-project Retrieved July 27, 2014. Sjøberg, S., & Schreiner, C. (2010). The ROSE project. An overview and key findings. Retrieved from. http://roseproject.no/network/countries/norway/eng/nor-Sjoberg-Schreiner-overview-2010.pdf. UK Department for Education (2015). National curriculum in England: Science programmes of study. Retrieved from https://www.gov.uk/government/publications/national-curriculum-in-england-science-programmes-of-study.